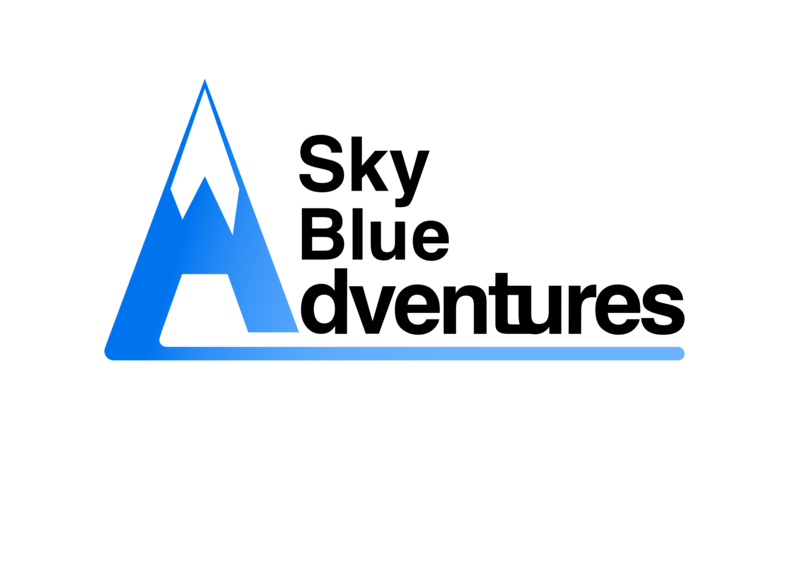 Last week I spent two days with Adie working on the skills required to safely travel in a mountain enviroment. 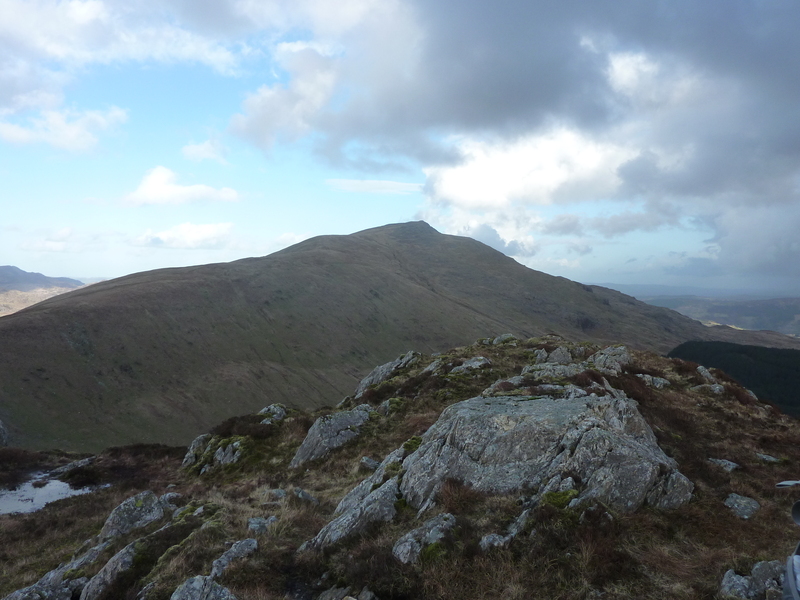 We spent 2 days walking around the Moelwyns in Snowdonia which included an Idyllic Wild camp. The weather forecast indicated snow lying above 750m so ice axe and crampons were packed just in case. 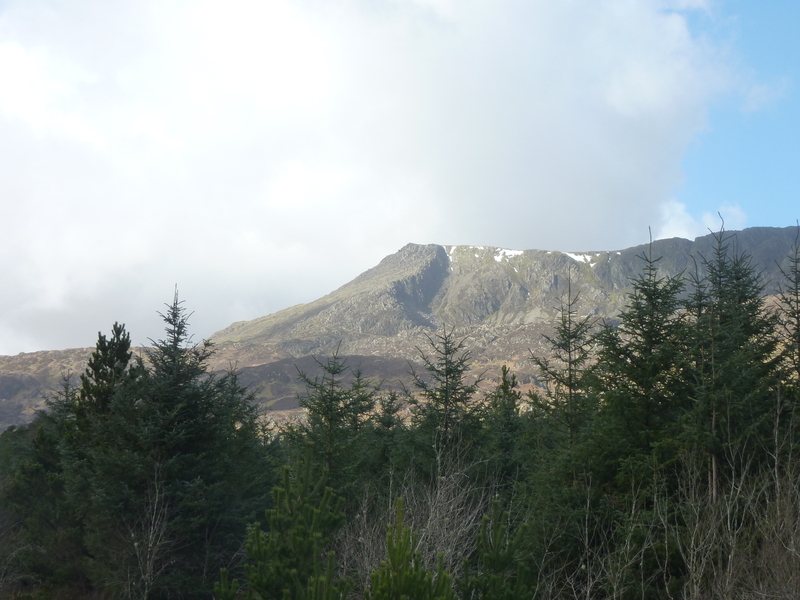 We set out from Dolwyddelan on a cool and sunny Thursday morning and headed up through the forest onto the lower southern slopes of Moel Siabod. 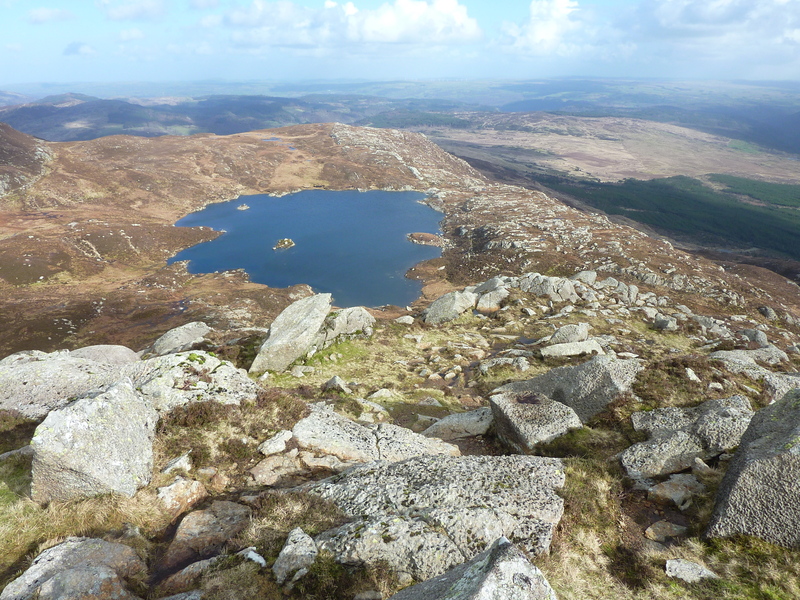 During the inital part of the walk we looked at revision of basic map and compass skills as we navigated along tracks and open moorland towards the base of the Daear Ddu ridge on Moel Siabod. 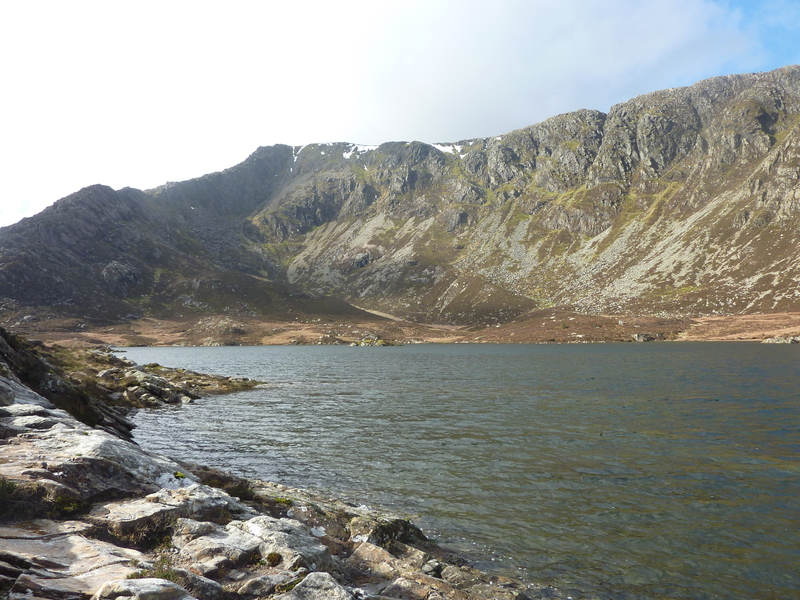 Upon reaching Llyn y Foel we stopped for lunch and took time to admire the scramble ahead on the ridge. 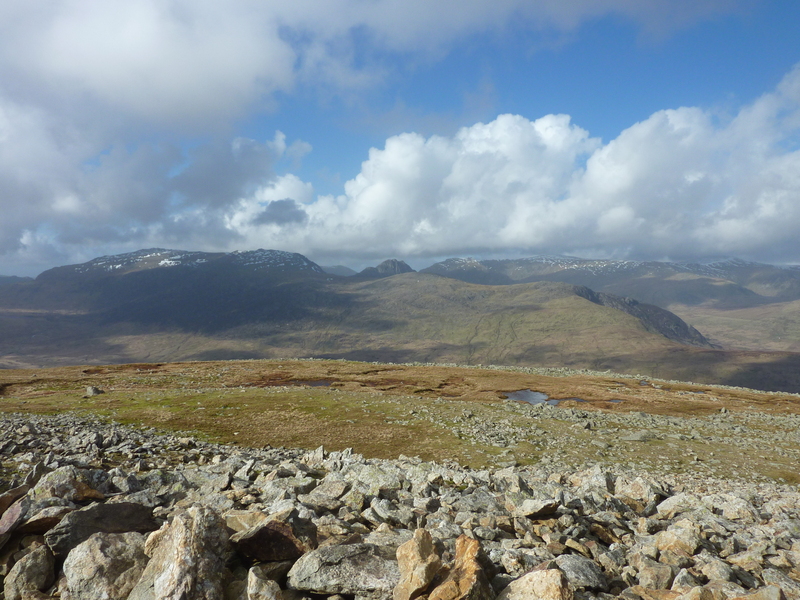 From previous experience the best scrambling is to be had out on the right side of the crest which gives awesome views back down towards the Lake and beyond. 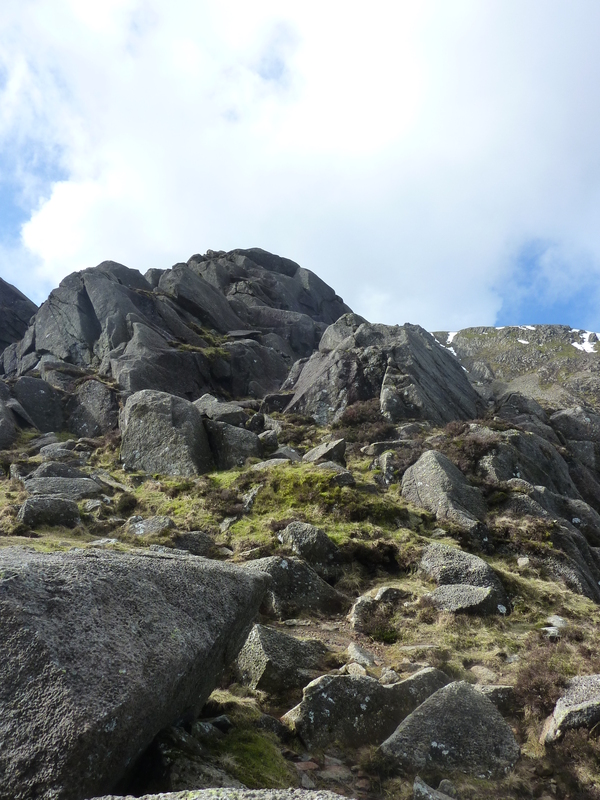 We made steady progress along and up the ridge picking an airy line towards the summit. The weather gods were very much in our favour with the rock being warm to touch and the views stretching out to the horizon. 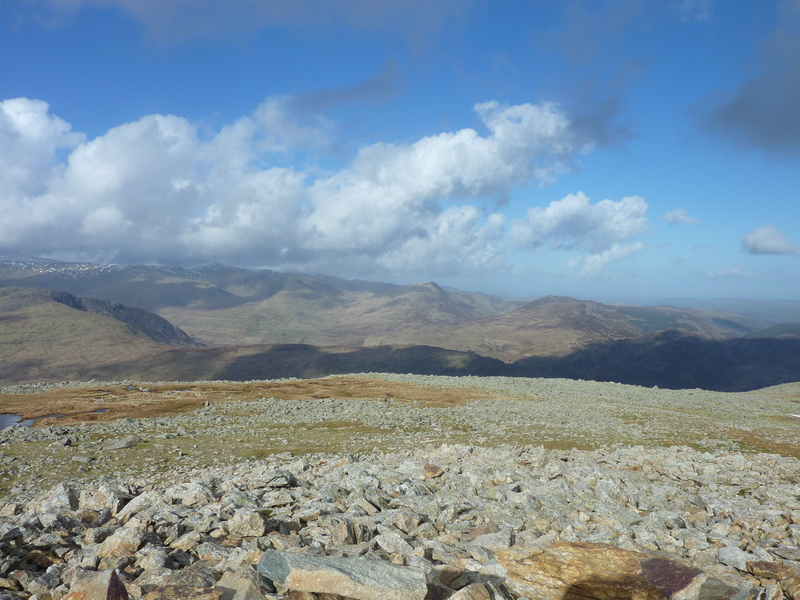 Upon reaching the summit plateau we were greeted with one of the best mountain top views in Snowdonia and on this beautiful day the panorama in front of us extended to views across to Snowdon, The Glyderau, Tryfan and beyond to the Carneddau. 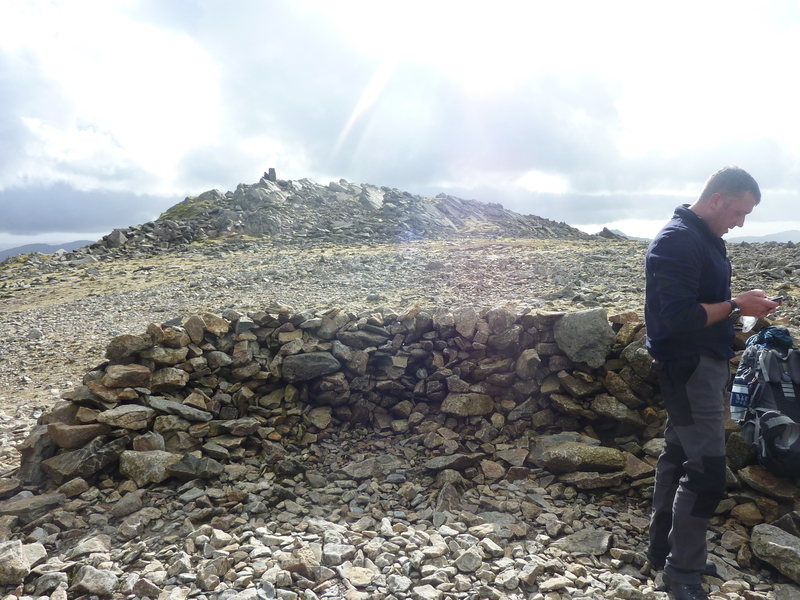 After a short break on the summit we continued down the south west ridge towards Clogwyn Bwlch-y-maen with lovely views of the the Snowdon horeshoe in front of us. 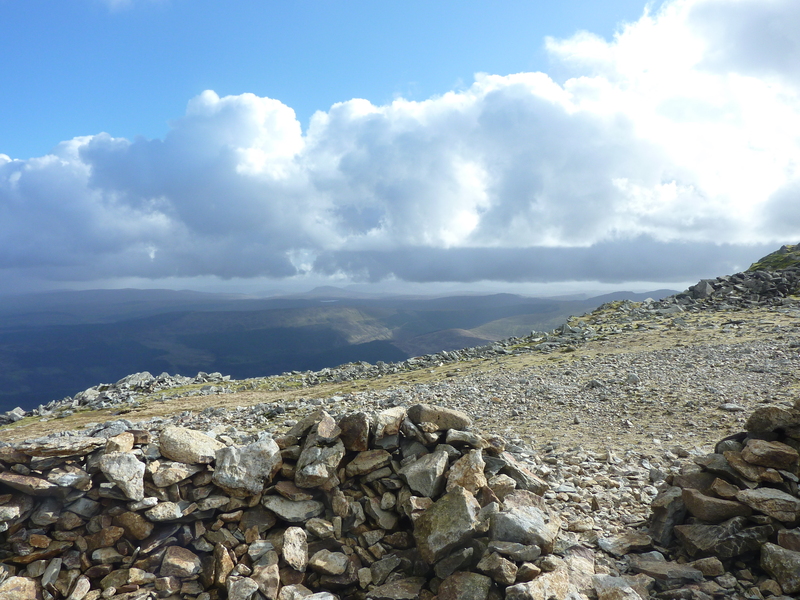 Upon reaching the Bwlch we then continued over Carnedd Y Cribau. 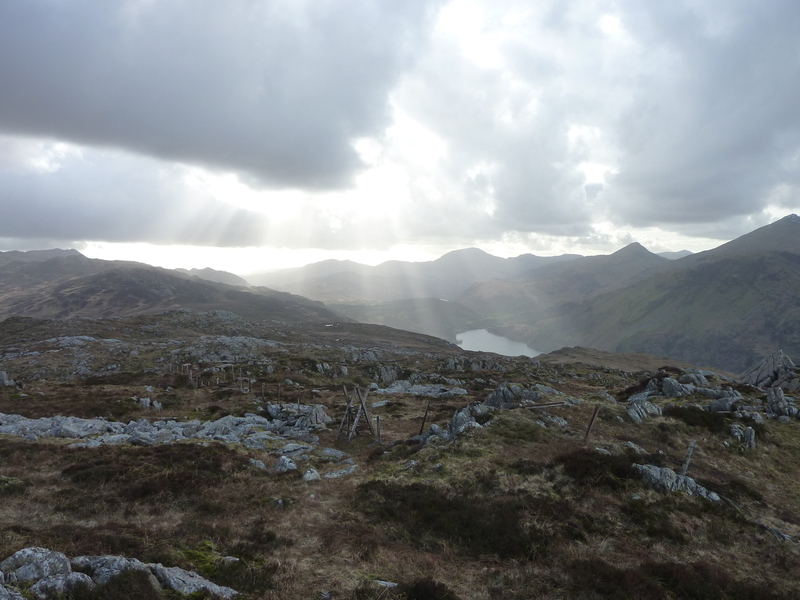 As we walked along the ridge the clouds parted and rays of sunshine broke through to bathe Llyn Gwynant in the late afternoon winter sunlight. 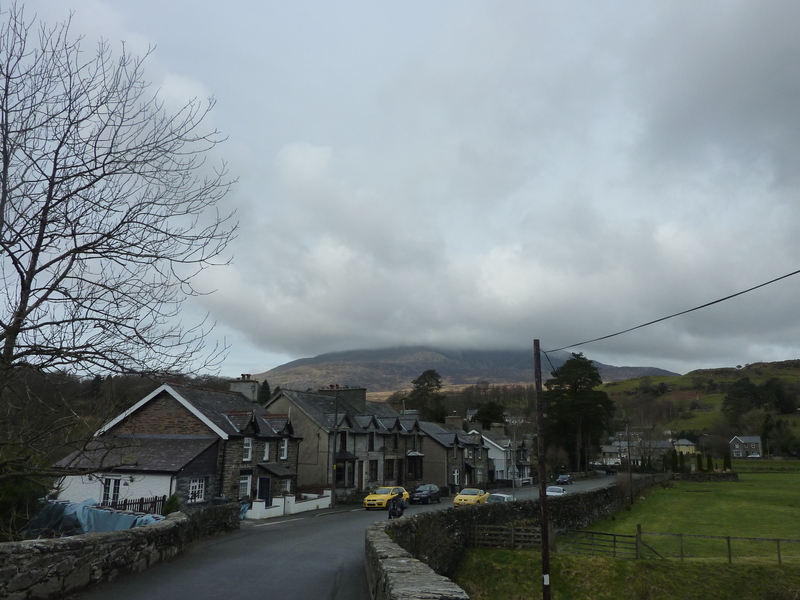 As we stood and looked back towards Moel Siabod I thought back to the last time I had walked over these hills a couple of years previously. On that occasion I was a few weeks away from my mountain leader assessment and had spent 6 hours walking through the night across the area practicing night navigation on my own in wind,rain and fog. Today was a lovely contrast. The last hour of the day walking into camp was spent walking across some of the boggiest moorland I have ever encountered.Upon reaching the shores of Llynau Diwaunedd we pitched our shelters and quickly settled into our camp routine. During this time myself and Adie discussed the pros and cons of various kit from shelters to rucksacks. As a result I think Adie will be investing in the near future in some new kit. 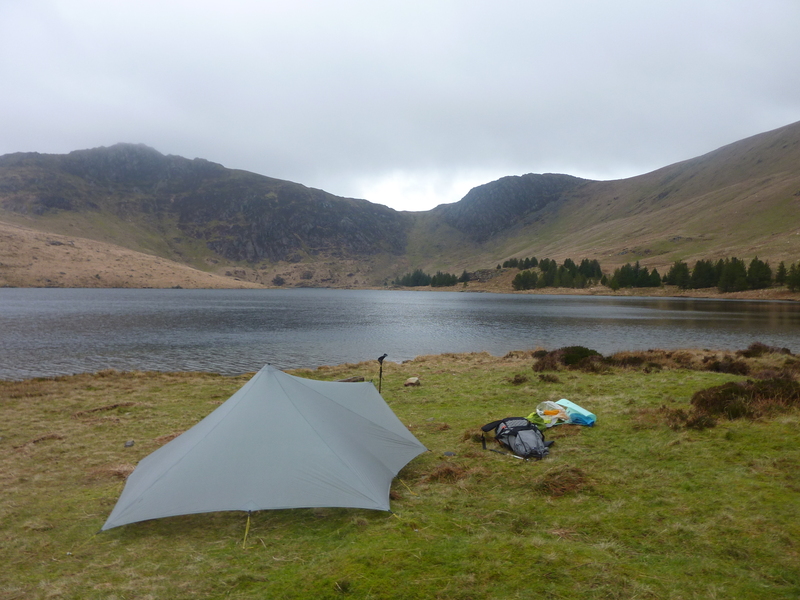 My Trailstar tarp provided a spacious and comfortable night under the stars. 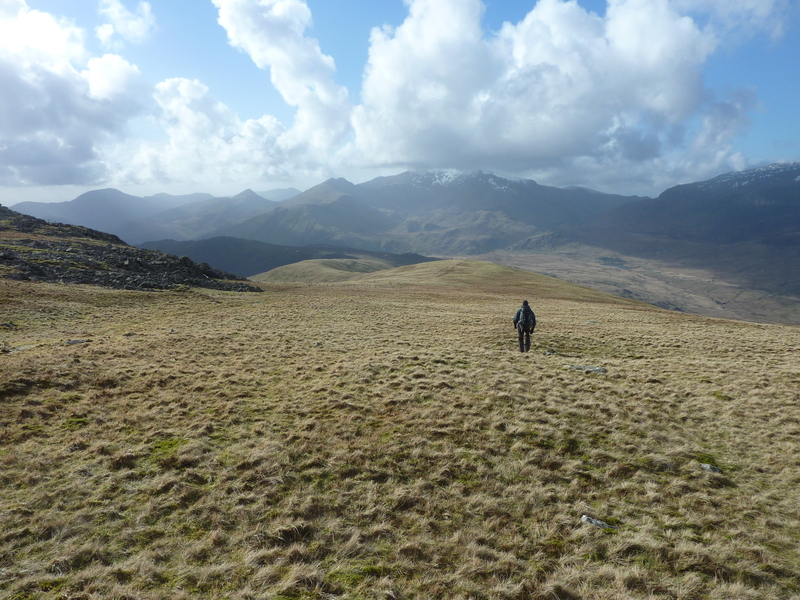 After a good nights sleep we left camp early and walked on a low level route back into Dolwyddelan consolidating the skills we had looked at over the previous 24 hours. A great trip and I look forward to getting out again in the future with you Adie.